Britain's favourite gardener and TV presenter Alan Titchmarsh takes us to the scenic highlands of Scotland for his new tale of betrayal, mystery and romance. 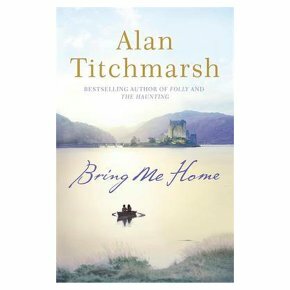 The author of eight bestselling novels including THE HAUNTING and FOLLY, Titchmarsh's new multi-generational novel makes the perfect gift this Mother's Day. It seems a perfect afternoon in the Highlands. Standing at the door of the lochside castle that has been his family's home for generations, Charlie Stuart welcomes his guests to the annual summer drinks party. Conversation, laughter and the clinking of glasses soon fill the air as friends and neighbours come together to toast the laird's happiness and prosperity. But Charlie sees the truth behind the facade: the sacrifices made to safeguard the estate; the devastating losses that have haunted him for decades; the guilt that lies at the heart of it all. And in a few hours, he knows, the perfect afternoon will come to an end. The past, with its dark secrets of love, death, loyalty and betrayal, is about to catch up with him. And it could finally tear his family apart . . .